What Jane Saw. (Photo by Marsha Miller). I am proud and pleased to finally be able to invite you to attend an online reconstruction of a famous art exhibit as novelist Jane Austen saw it on 24 May 1813 – exactly 200 years ago to the day. 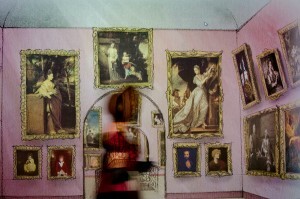 Our website and virtual gallery is titled What Jane Saw (www.whatjanesaw.org). Although I provided the historical research for the site, this digital humanities project was a large collaborative and interdisciplinary effort. What Jane Saw was constructed over several years by a talented team of student assistants and staff in the Liberal Arts Instructional Technology Services (LAITS) at the University of Texas at Austin. For a short narrative about the making of the site and some of the people involved, see this story on the UT English Department’s website: http://www.utexas.edu/cola/depts/english/news/6550. Even if Jane Austen had not attended this public exhibit, it would still be well worth reconstructing. 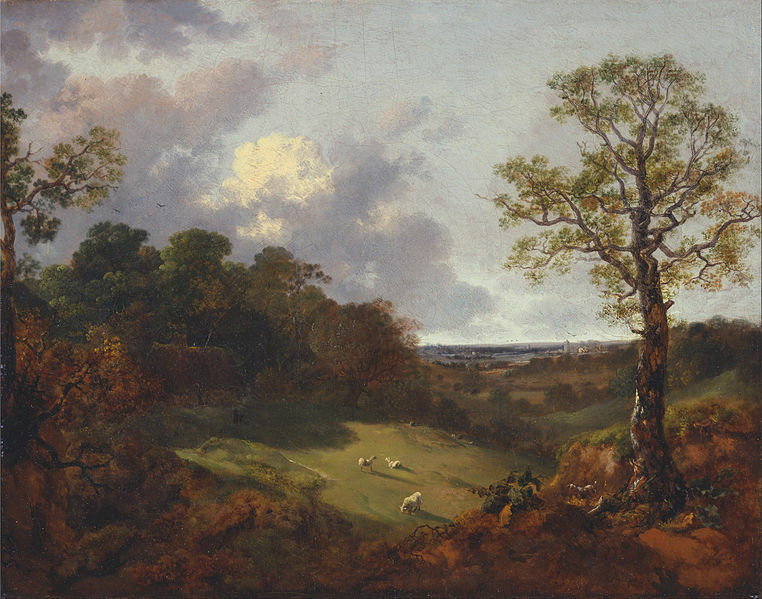 The British Institution’s show was a star-studded “first” of great magnitude for the art community and a turning point in the history of modern exhibit practices. Among the canvases in the retrospective gallery, the many celebrity portraits of 18th-century politicians, actors, authors, and aristocrats offer concrete examples of just how someone like Jane Austen, who did not personally circulate among the social elite, was nonetheless immersed in Georgian England’s vibrant celebrity culture. In a letter to her sister Cassandra, Austen joked how she would be searching for a portrait of Mrs. Darcy among these pictures. Two hundred years to the day after Austen attended, the What Jane Saw website restages this Regency blockbuster. The website takes advantage of the current digital toolkit to help transport visitors back to a specific event in 1813, the same year that Austen published Pride and Prejudice. 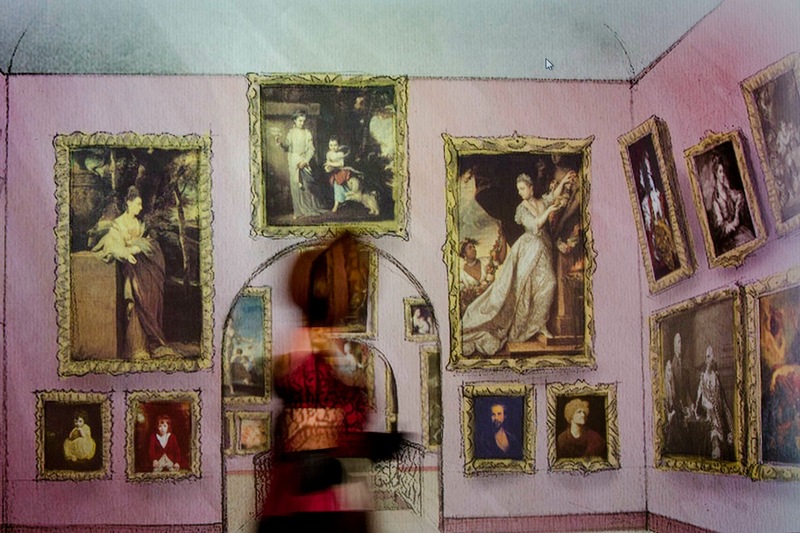 Today, the paintings that took part in the 1813 exhibit are dispersed across the globe while the original building in Pall Mall that once housed the British Institution is so altered as to be unrecognizable. Virtual reality was the only way to put these objects back together. Seeing the art in situ also revives the interpretive consequences of proximity and distance. For example, some sitters are judiciously juxtaposed while others – rival politicians or high-profile socialites – are hung at painstaking removes from key members of the royal family. Only a visual reconstruction allows the retrieval of these hidden narratives, hinting at the implied concerns of the original curators. We hope you will take a look at: www.whatjanesaw.org. This educational website is free and open to the public. So, come and see the celebrities Jane Austen saw in 1813. Step back in time to walk among the paintings in the virtual gallery. This may be the nearest thing to time travel on the web! Afterwards, let us know what you think on the What Jane Saw Facebook fan page: https://www.facebook.com/WhatJaneSaw. This entry was posted in Collections, Digital Humanities and 18th-Century Studies, Jane Austen, Women's Lives in the 18th Century and tagged Art, Austen, digital humanities, New Media. Bookmark the permalink. Janine Barchas is Associate Professor of English at the University of Texas at Austin. She is the author of Matters of Fact in Jane Austen: History, Location, and Celebrity (Johns Hopkins University Press, August 2012). Her first book, Graphic Design, Print Culture, and the Eighteenth-Century Novel (Cambridge UP, 2003), won the SHARP book prize for best work in the field of book history. Her newest project is the website What Jane Saw (www.whatjanesaw.org).